Two new items from the upcoming Steven Spielberg film Bridge of Spies have arrived. The first is the new UK poster. The other is a nice little featurette where Steven and Tom talk about the film. Not only that, about working together for the fourth time. 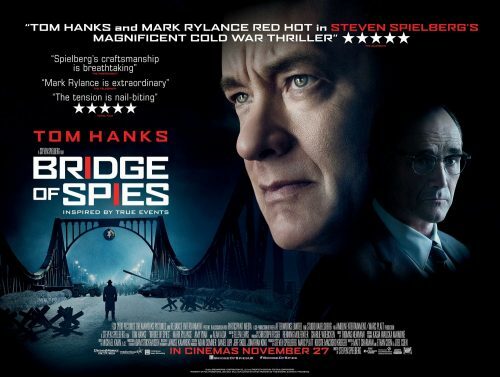 Directed by Steven Spielberg, BRIDGE OF SPIES is a dramatic thriller which tells the story of James Donovan, a Brooklyn insurance claims lawyer who finds himself thrust into the center of the Cold War when the CIA sends him on the near-impossible task to negotiate the release of a captured American U-2 pilot.